Looking for some advice. I bought a Bodis decat pipe for the bike. When buying it I assumed that I'll have to get it re-mapped. With our exhausts and the original exhaust lambda-results on test-bench had been fine. We did not measure any other exhaust. So, I'm leaning towards no re-map, am I missing something? It might seem fine but your missing the benefits of a decat without a remap. 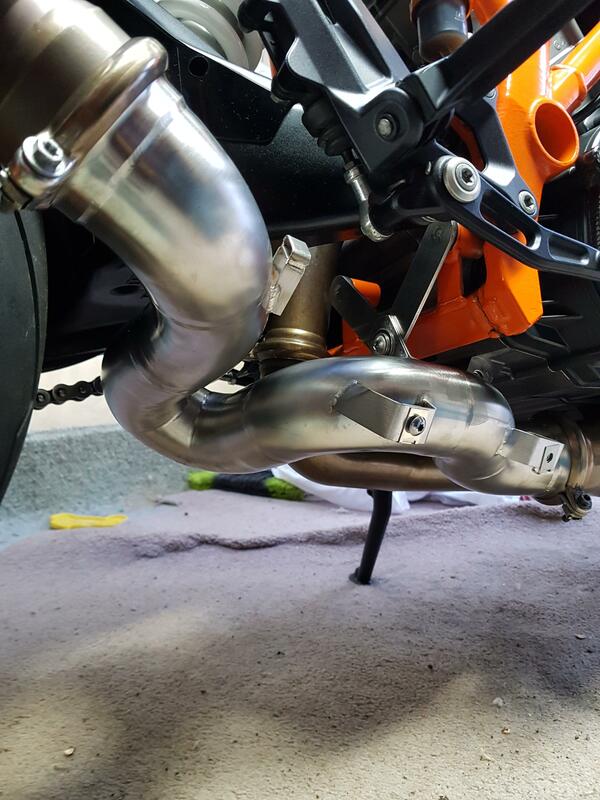 The purest types will always insist ya dyno any bike after fitment of an aftermarket exhaust. The bolt on bling and tat crew will say no need. What I get from your reply from the manufacturer - is non commitment either way. The bottom line would seem to be what are your values. Delighted to have been no help to ya whatsoever. If it was me and Id the readys, a re-map it would be. No it does exactly what it's meant to do. Remove the cat. Changing from a exhaust to Abit more freer is not a massive difference. A remap will make all the difference...not like it needs it,they’re an insane machine. all bikes generally respond well to remaps anyway if they're still in stock fueling. with all the regulations on sound and emmisions i would think a remap would make a stock bike respond better let alone a system that has had a cat removed. Yeah I knew it was too good to be true so I'm not taking any chances. Re-map it is so. Was thinking about a decat myself , was there much to it ? Since you're keeping the lambda, the bike can sort out the fuel/air mixture and keep running fine without the cat. But, as the lads mentioned, you now have much more airflow which can generate more power so a remap be advantageous. OEM maps are usually conservative and try to go for reliability and mpg over the full potential of the engine. Doddle, 20 minute job. 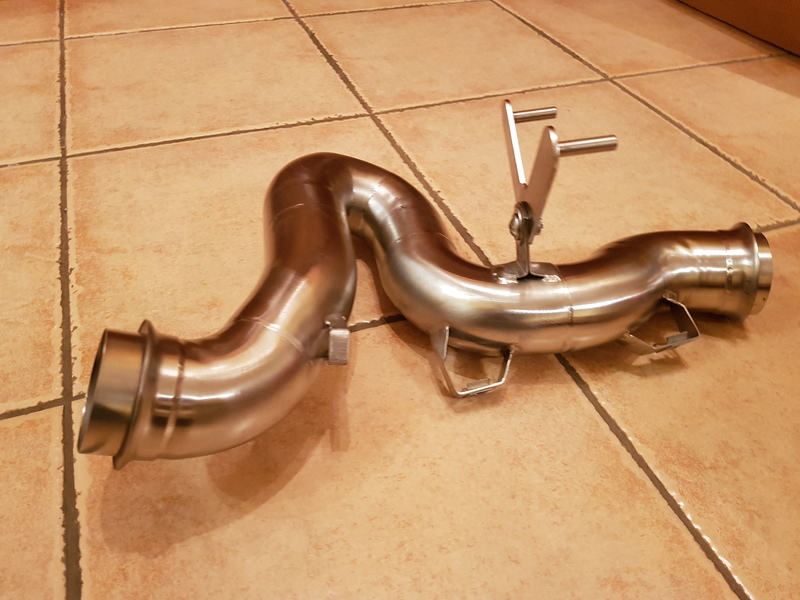 Whip off the exhaust, two clamps either side of the cat and then it's just a straight swap. Fit and finish were perfect. No need to go near the Lambda sensor. That being said there is no butterfly valve in the exhaust on the 2016 SD-R. I believe the 2017 on-wards have a servo controlled valve in there that has to have the cables and/or wiring removed. Food for thought, thanks for the advice. Looks great ! Where will you get the map from ? Looked at the website they only specified link pipe for a 2016 GT ( mine's 18). It has the servos etc. and probably a pain in the rocks to sort. That said I really like the look of the set up. That's another thing I'm trying to decide on. Would like to bring it to my local, the folks in RPM in Drogheda. Top outfit but very busy so will likely have to book it in soon to avoid a long wait for Dyno time. Failing that I think mototuning would be the next port of call. Time to break open the piggy bank. There's more than likely a few youtube clips out there for doing the same job on the GT. Bodis were very quick to respond to emails, maybe ask them what the story is with the 2018 model? Let us know if you decide to go ahead and how you fare. Mototuning.ie con definitely sort you out. If they know the exhaust, you can just send them the ECU and they'll re-map it. If you want the full custom experience and dyno time, you have to go to them. They did my MT09 and happy out with the results. Not necessarily. If you go outside the allowed factory fuel trims it won't adjust it near enough.